High visibility Commercial Building Pads. This properties can be divided. Great fast food, big box, or convenience store locations. Adjacent to 4 "new car" auto dealerships, near hospital facilities, US Postal Distribution Center, Surgical Center, Apartment Complex, Consumers Energy Headquarters, State offices, Hospital facilities and County airport. in Growing Retail / Automobile sales area. Exit 141 Interstate-94 @ Elm Rd. 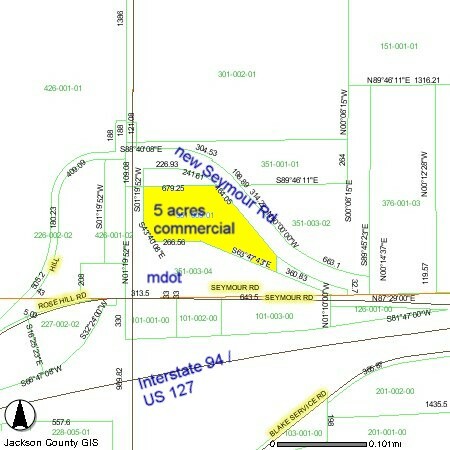 This parcel is situated on the new on / off ramp to Interstate-94. Frontage will be on the new Seymour Rd, Interchange ramp and on Elm Rd. Great for food, service, convenience, motel. Adjacent to Art Moehn Chevrolet / Honda Store, New Jackson Ford, and Extreme Dodge dealerships. No restaurants in this area yet!!! 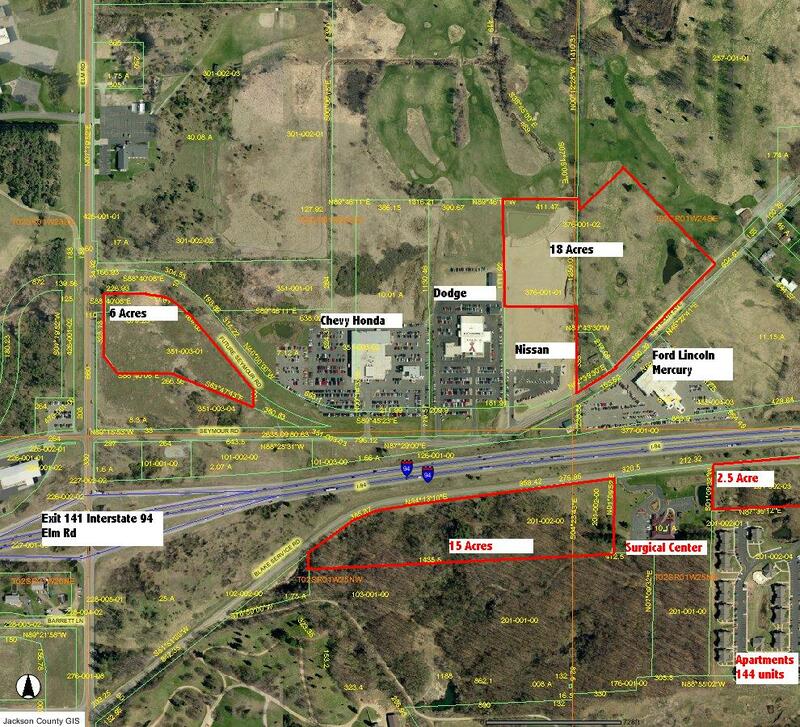 Call Bob Firth, Cascade Realty Co. (517) 787-4557 or email: rfirth@modempool.com - We know quality sites.